Black Friday offers!! One day only! To get your Christmas off to a kick start we have some fantastic deals for you! up to 20% selected gift sets including Cloud Nine straightening irons, Davines, Neal & Wolf and Alterna! Added value on gift vouchers! For every £30.00 gift voucher bought on Friday we’ll add a further £5.00!! t’s & c’s apply;- valid for one day only on Friday 25 November 2016 ends at 6 pm, no cash alternative, extra £5 gift voucher is valid from 25/12/16 and cannot be used against products, Limelight hairdressing Ltd reserve the right to change or withdraw the offer at any time. 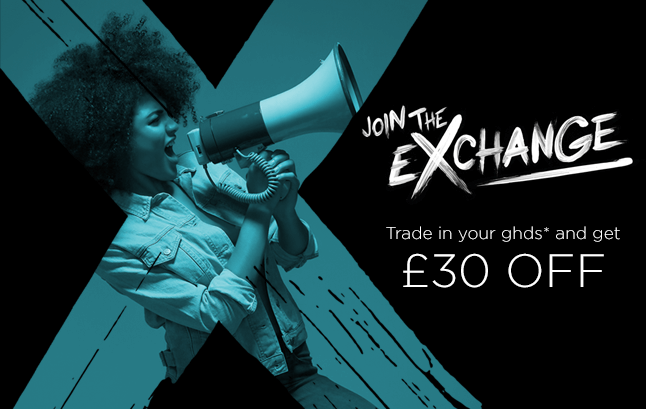 JOIN THE EXCHANGE!!! £30 off Cloud Nine Irons!! Bring us your old GHD’s and receive £30.00 off a new pair of Cloud Nine Irons! !